At Seyfarth, one of our key diversity and inclusion strategies is strengthening our talent pipeline. To accomplish this, we strive to recognize and identify opportunities for change or growth at all levels of legal careers; focus on evolving professional needs, particularly at key transition points; and develop new career paths and opportunites that match the changing landscape of the legal industry. In 2015, her seventh year at Seyfarth Shaw, Kate Mendez was invited to participate in the Triad Mentoring Program, a year-long initiative focused on professional development designed to cultivate relationships between three people: a rising attorney, a mentor, and a sponsor. The distinct roles of a mentor and sponsor are often crucial for attorney progress. Kate’s mentor was David Baffa, a labor and employment partner. Her sponsor was Lisa Damon, then-national chair of the labor and employment department. Through the program, Kate now had a structured avenue for discussions with these two firm leaders. In 2017, Kate joined the 75% of Triad program alumni who have gone on to make partner. Community outreach: Diversity efforts at Seyfarth include mentoring and coaching local high school and college students to encourage careers in law. University Outreach Programs: Through shadowing, internships, fellowships, and scholarships, regionally sponsored outreach programs support diverse law students and students thinking about a legal career. Seyfarth’s Rooney Presumption: Created in 2016 and inspired by the National Football League’s “Rooney Rule,” the Rooney Presumption ensures that for every open associate position, there is at least one diverse candidate interviewed. Seyfarth Fellows Program: A progressive, contemporary approach to talent development, the Seyfarth Fellows Program focuses on a selection process that accounts for both interest in a particular field and the need for a diverse pipeline. 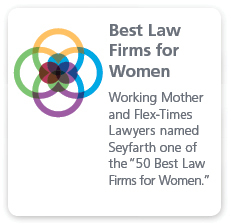 Seyfarth Women’s Network Business Development Training: Now in its fifth year, this quarterly series is led by our Women’s Affinity Group but is open to all attorneys. It focuses on business development and other topics pertinent to the business of law. 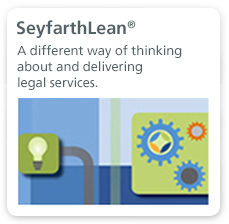 Participation in Leadership Council on Legal Diversity (LCLD) Programs: Seyfarth actively participates in the programming of the LCLD, including the LCLD Fellows Program, Pathfinder Program, and 1L mentorship program. 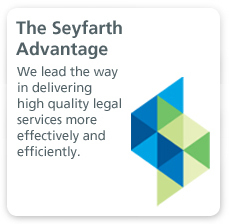 Quarterly Diverse Talent Reviews: For attorneys at the associate and income partner level, Seyfarth uses a quarterly talent review system to evaluate the status of our diverse talent at the Firm. Each fiscal quarter, this review evaluates the work allocation for diverse attorneys both individually and at each level of the department — as well as their utilization, personal development plans, and goals. Seyfarth Women’s Income Partner Small Group Coaching Program: This two-year program supports our female income partners on the equity partner track. We focus on team coaching, mentoring, comradery, and supporting individual business development. Innovative client solutions and partnerships: We have undertaken a data-driven effort to optimize diversity and law firm staffing on client business. Solutions borne of this effort include an annual scorecard to help clients consistently and holistically evaluate law firm diversity and a relationship management and succession planning program to help create future leadership roles for diverse firm attorneys on client teams.